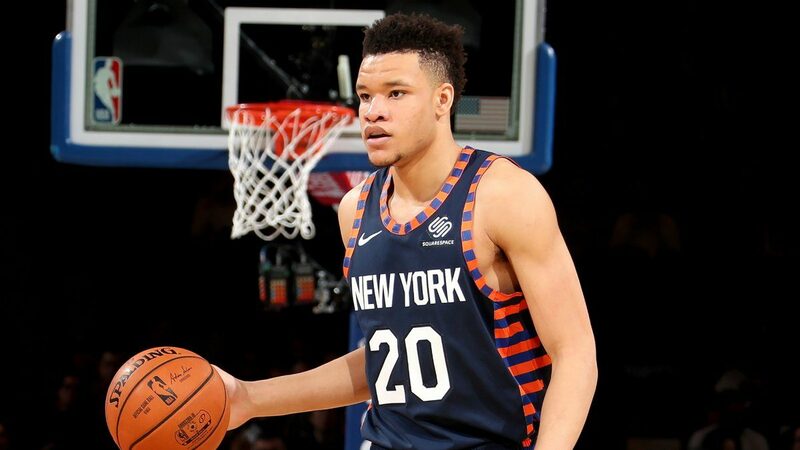 With the addition of Knicks rookie Kevin Knox, Kentucky now has three alums in the Rising Stars Challenge at the NBA All-Star Game. Knox, averaging 12.5 points and 4.2 rebounds, replaces Lakers guard Lonzo Ball in the game. 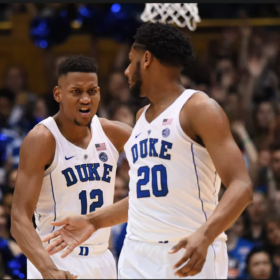 He joins Kings guard De’Aaron Fox on the U.S. roster, and Shai Gilgeous-Alexander on the World roster. Duke and Arizona each have two players in the game. The main NBA All-Star Game features two Kentucky guys in Anthony Davis and Karl-Anthony Towns, and one Duke guy in Kyrie Irving. Among other Kentucky alums, Devin Booker will try to defend his 2018 championship in the 3-Point Contest, Hamidou Diallo is in the Slam Dunk Contest and De’Aaron Fox will compete in the Skill Challenge.